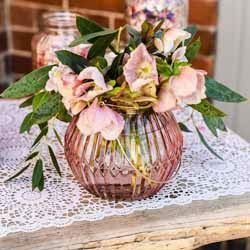 A woodland wedding is a wonderful theme that suits all seasons, and they have become increasingly popular amongst brides and grooms lately. 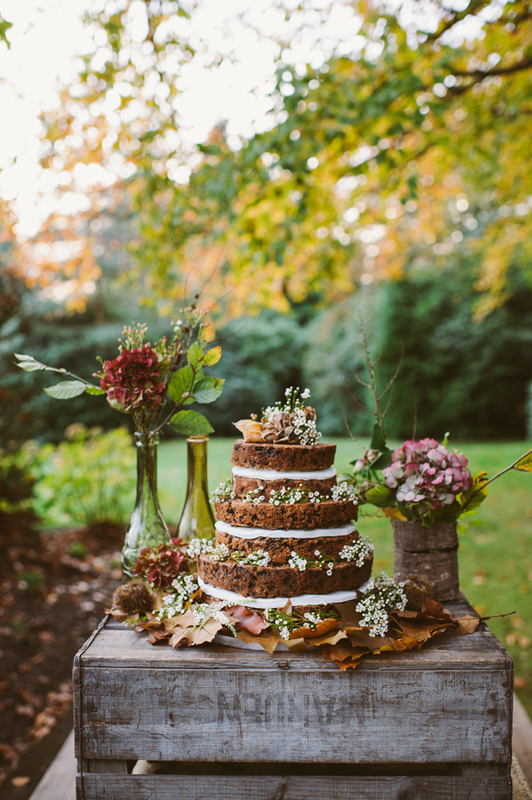 If you’re planning a nature-inspired wedding day, then you’ll love these woodland wedding cakes. 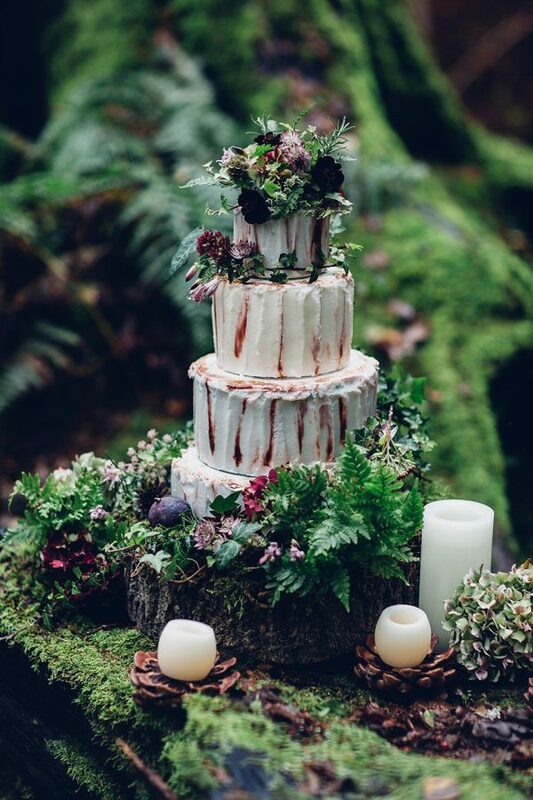 Woodland wedding cakes are beautifully unique and they can be a real ‘focal point’ of any wedding reception. So let’s take a look at some of our favourite, mouth-watering wedding cakes that are perfect for this whimsical theme. Naked wedding cakes have been a firm favourite with brides for a few years now, and it doesn’t look like they’re going anywhere! 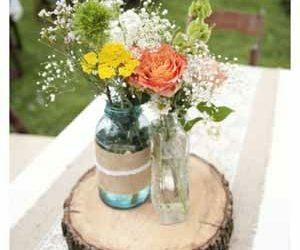 They’re a perfect choice for an outdoor or woodland wedding. Adorn with delicious fruits such as blackberries, strawberries and figs for an organic, natural style. 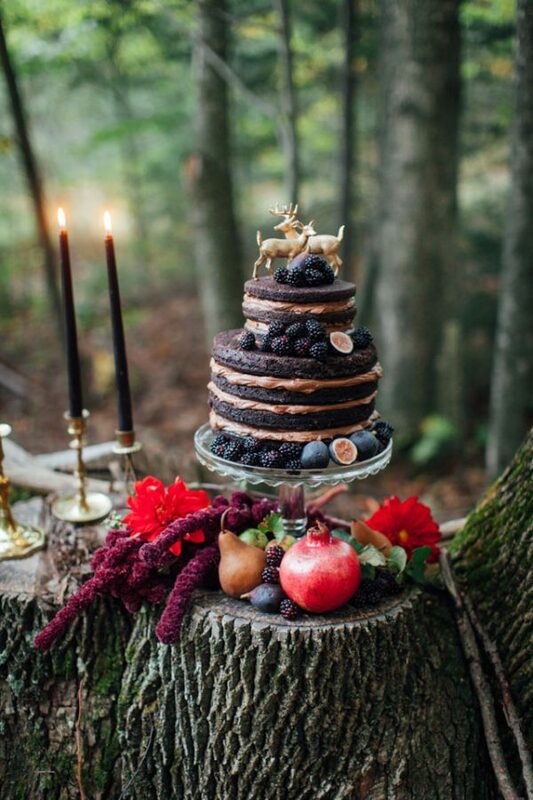 Stand a naked cake on a tree slice for a true forest feel. 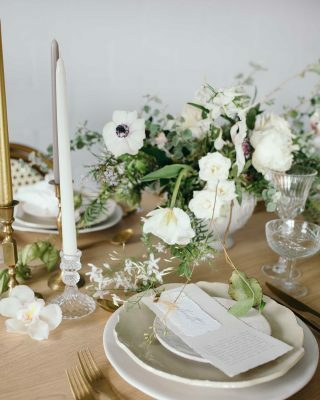 Why not scatter a few twigs and leaves on the stand for a subtle nod towards your woodland wedding theme? This is a really budget-friendly décor idea that will seriously suit your naked wedding cake. It’s best for naked cakes to be made either on or just before the big day, so that the sponge and toppings are fresh. 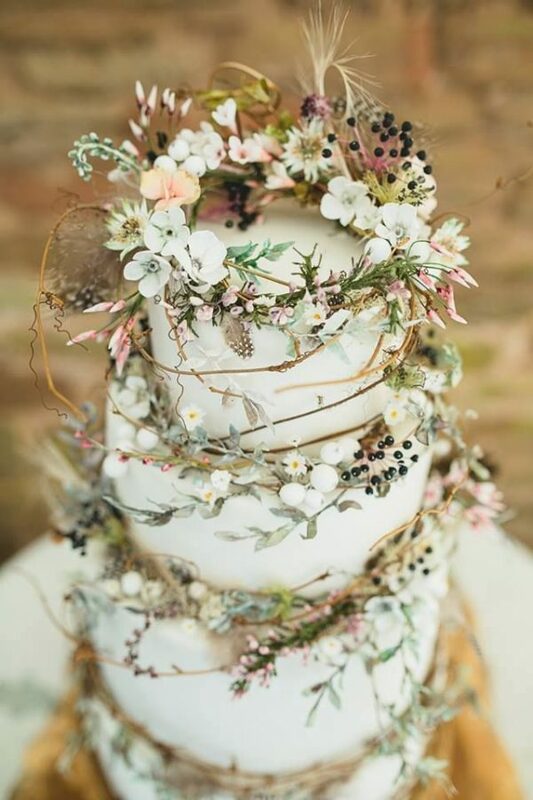 When it comes to woodland wedding cakes, I love the idea of using botanical inspired elements. A single tier with textured white icing looks fabulous decorated with wild ferns and forest foliage. 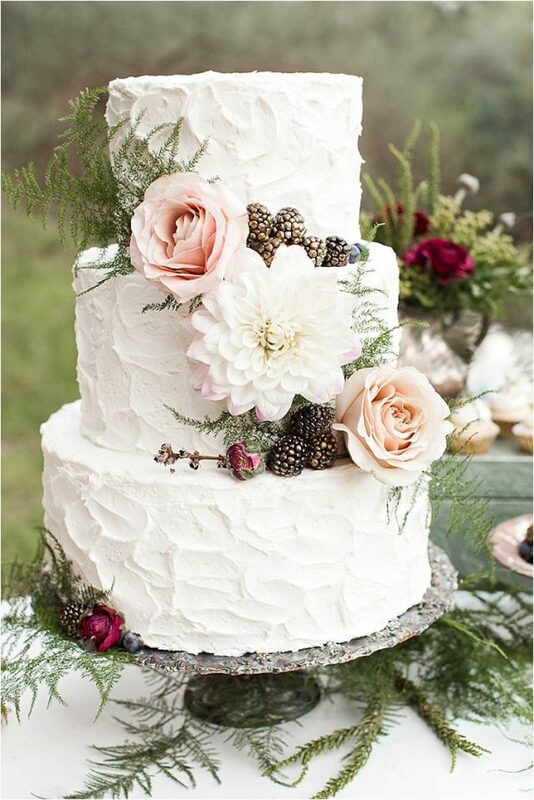 You can easily make this style of wedding cake perfect for each season. If you’re having a Winter do, add a few pinecones and holly for a extra greenery. Planning a Summer soiree? Simply add a few blooms to the white icing for a subtle pop of colour. If your wedding cake maker is able to do so, go all out with a bark-looking iced wedding cake. 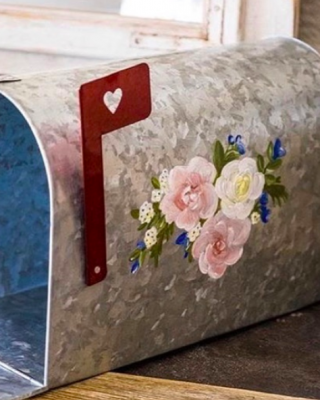 You can create a real masterpiece with textured wooden icing decorated with iced mushrooms, flowers and greenery. 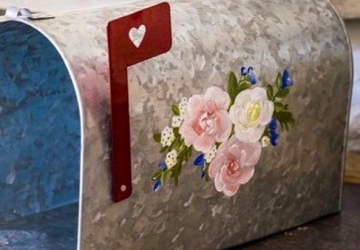 Let’s not forget the impact cake toppers can have on your wedding cake. Go down the enchanted forest theme with nature-inspired cake toppers, such as deer or antlers. They’ll create a beautiful silhouette for your wedding cake and they’ll look magical. 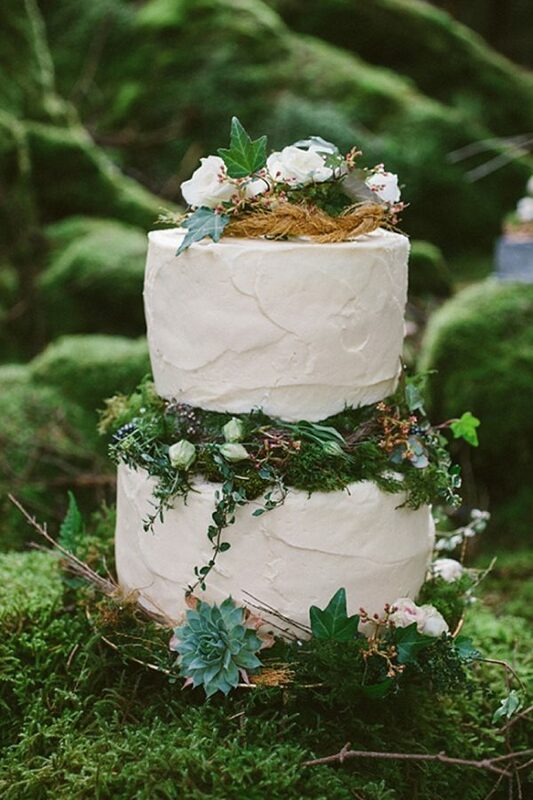 If you’ve just got a simple wedding cake, it doesn’t mean it can be woodland themed. It’s how you dress your dessert table! 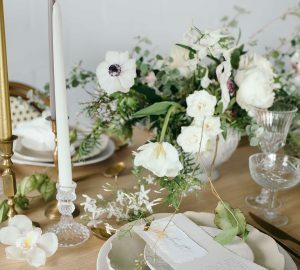 Decorate your table with trailing foliage and sprigs of rosemary and theme for a touch of rustic elegance. 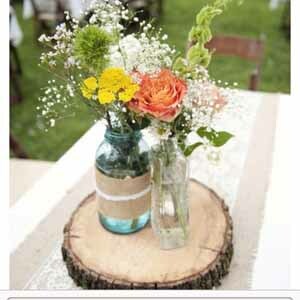 As mentioned earlier, tree slices as wedding cake stands are perfect for this theme and is guaranteed to look beautiful. 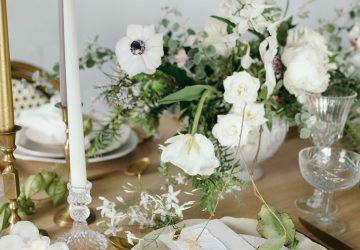 Delicate succulents and lots of greenery will create a beautiful ethereal effect surrounding a whimsical masterpiece. If you are planning a woodland wedding you may like our woodland wedding decorations.